More on the VTI Audio Video Rack with Glass Shelves (Various Finishes) RGR404S RGR404B below. 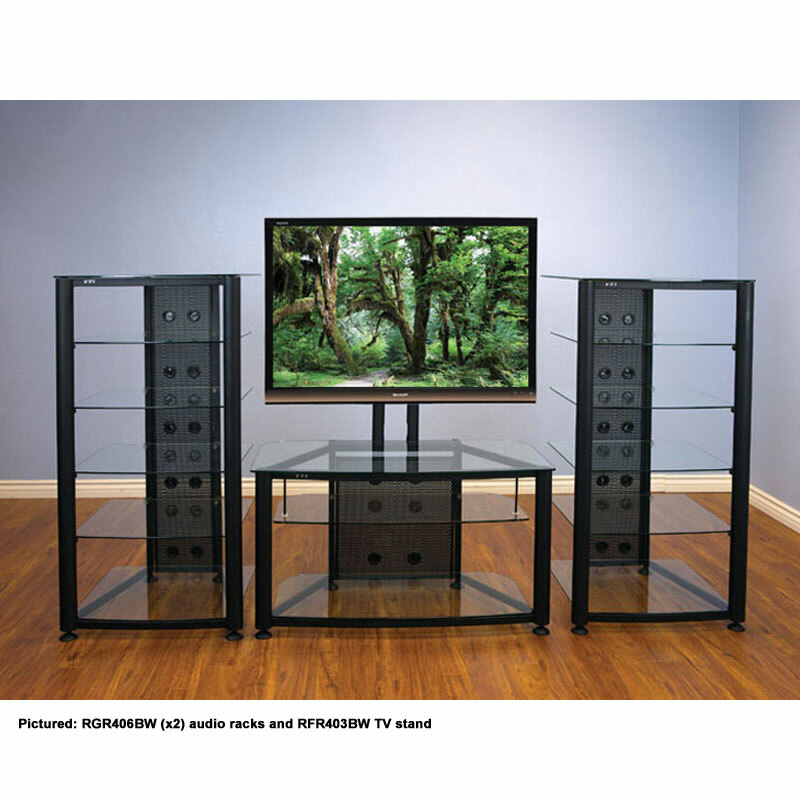 Call a VTI AV rack specialist at 1-800-807-1477. 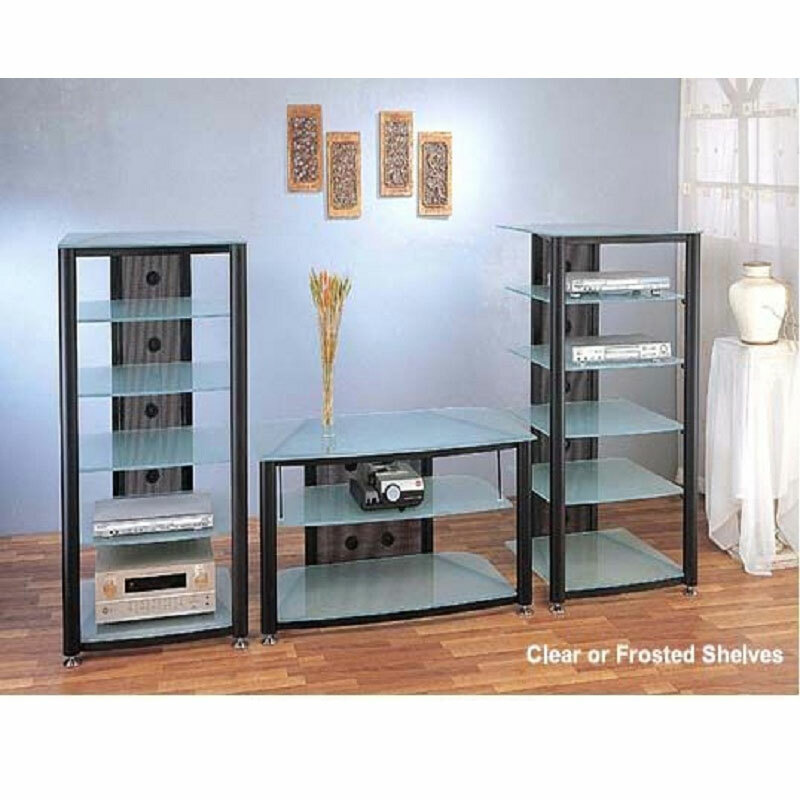 Beautifully beveled tempered glass shelves available in crystal clear, black, or frosted glass. Extra large shelves fit all sizes of equipment. 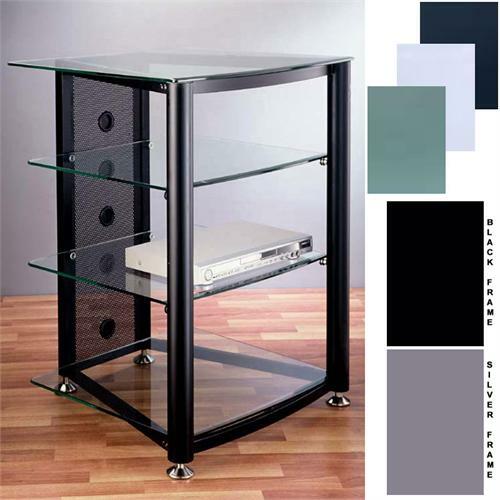 Frame Color: Black or Silver. Spacing between shelves (from bottom): 11 1/2", 9 3/4", 8 1/4"